Aristotle was an ancient Greek philosopher whose work has been extremely important to the development of both western philosophy and western theology. It has traditionally been thought that Aristotle started out in agreement with Plato and gradually moved away from his ideas, but recent research suggests just the opposite. Aristotle came to Athens as a teenager and studied with Plato for 17 years. After Plato’s death in 347 BCE, he traveled widely and ended up in Macedonia where he served as the private tutor of Alexander the Great. In 335 he returned to Athens and founded his own school, called the Lyceum. He was forced to leave in 323 because the death of Alexander allowed free reign to anti-Macedoninan sentiment and Aristotle was too close to the conqueror to dare stick around. 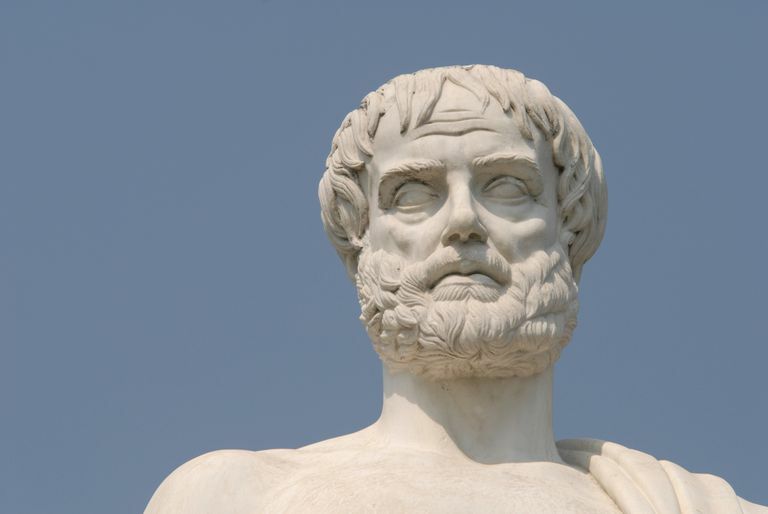 In Organon and similar works, Aristotle develops a comprehensive system of logic and reasoning for addressing problems of logic, being and reality. In Physics, Aristotle investigates the nature of causation and, hence, our ability to explain what we see and experience. In Metaphysics (which got its name not from Aristotle, but from a later librarian who needed a title for it and, because it was shelved following Physics, got the name After-Physics), Aristotle engages in a very abstract discussion of being and existence in his attempts to justify his other work on causation, experience, etc. In Nicomachean Ethics, among other works, Aristotle explores the nature of ethical conduct, arguing that an ethical life involves achieving happiness and that happiness is best achieved through rational thought and contemplation. Aristotle also defended the idea that ethical conduct derives from human virtues and that virtues are themselves a product of moderation between extremes. With regards to politics, Aristotle argued that humans are, by nature, political animals. This means that humans are also social animals and that any understanding of human behavior and human needs must include social considerations. He also investigated the merits of various kinds of political systems, describing their different virtues and vices. His classification system of monarchies, oligarchies, tyrannies, democracies and republics is still used today.